As promised, our 2013 new and returning counselor/staff applications are now available! -All applications must be postmarked by May 13, no exceptions. -Make sure that you read all of the application information. If you have questions, please contact Chris Avramopoulos, Director of Youth & Young Adult Ministries, at cpavro@aol.com. Thank you for your interest in serving the Fanari Camp program and we look forward to working with another group of talented counselors & staff! Fanari 2013 camper registration forms are now available! -Housing will be done on a first-come, first-served basis. Please see the specifics on page 1 of the application. -Save money by getting your application in by May 1! Prices increase after May 1 and again after June 1. We look forward to serving the youth of our Metropolis through the Fanari Camp experience! See you in June! Posted on March 15, 2012 by elizabeth | Comments Off on Calling all campers! 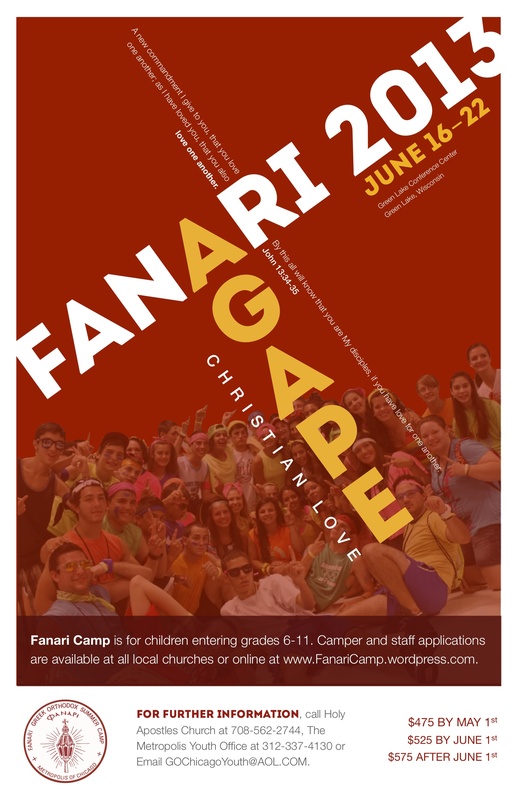 Fanari 2012 camper application forms are now available! Comments Off on Calling all campers! As promised, our 2012 new and returning counselor/staff applications are now available! Camper registration forms will be available soon. -All applications must be postmarked by May 1, no exceptions.